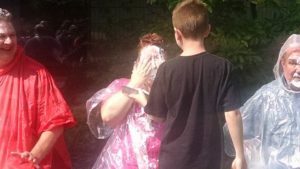 Middletown, Ohio— September 13, 2017 — Pastor Tracy Siegman wanted to put the congregation to the test. She set the goal of 200 lbs of food for an August food drive. If the congregation reached the goal, they could throw 2 pies in her face. 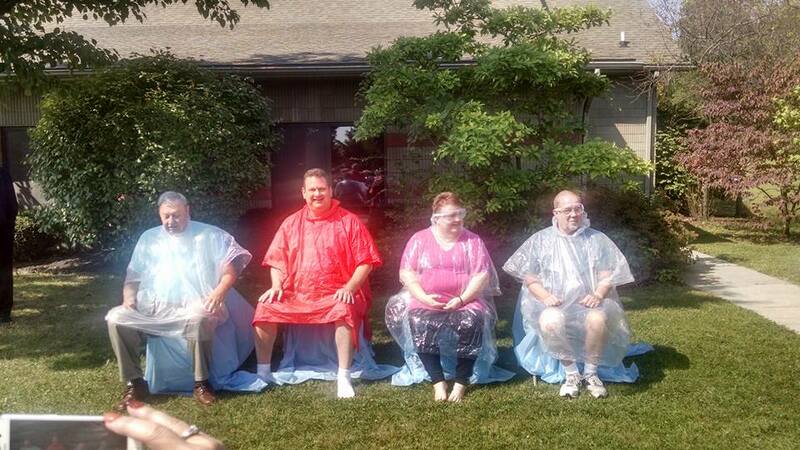 The congregation accepted the challenge and wanted an even bigger goal. 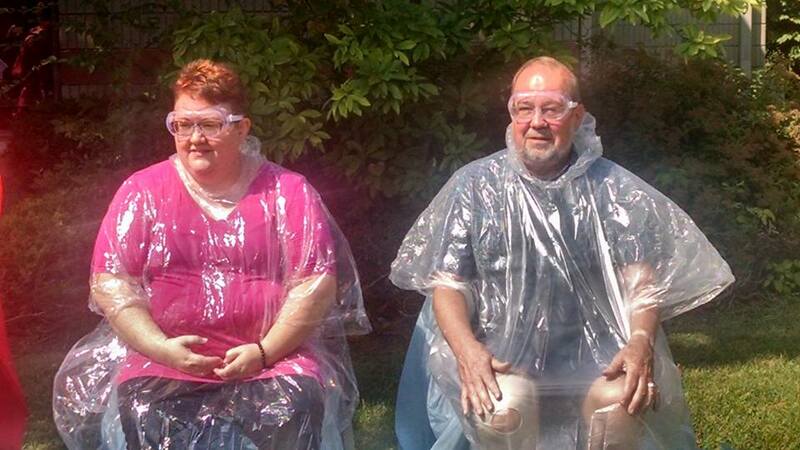 Two members volunteered to take a pie in the face if the church reached bigger goals. 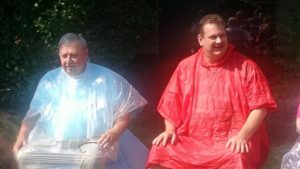 Martin Schaefer offered to join in if the congregation reached 300 lbs and Larry Steele offered to do so if they reached 400 lbs. When the collection was weighed at the Salvation Army food pantry, the total was 717.5 pounds of food. “I knew they were capable of doing great things, so I challenged them. I wanted them to understand that they can exceed their own expectations. 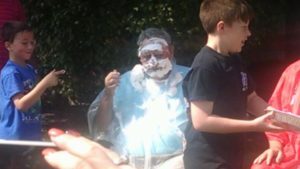 This was an important lesson for the church to learn as we are praying for God to show us how we can make an impact in our community through serving our neighbors,” said Pastor Tracy Siegman. She does this in memory of Harold Harmison, a mentor and lay pastor from Illinois, who set the example of challenging congregations. 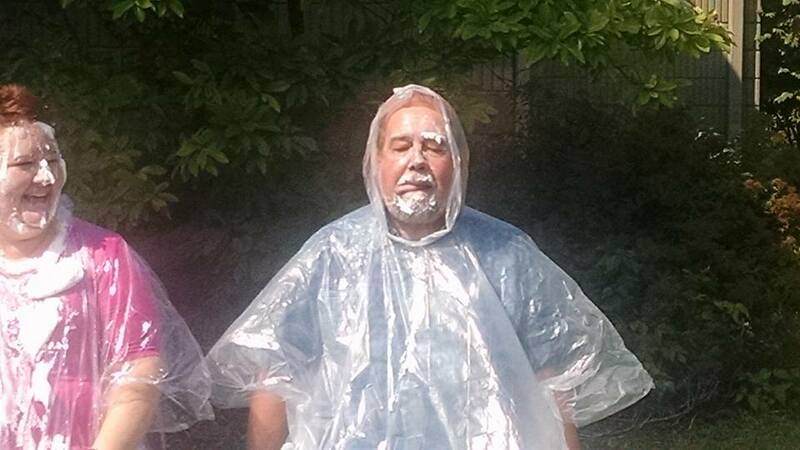 In celebration of their achievement, the church enjoyed a pie fellowship following the service on Sunday, September 17, 2017 during which Pastor Tracy, Martin, and Larry received 2 pies each in the face.